Ralph E. Dowell, Jr., 84, of Martinsville, passed away peacefully, surrounded by his wife and girls on Tuesday, March 26, 2019 at the Franciscan Hospital in Indianapolis. Ralph was born in Bloomington, Indiana on February 6, 1935, to Ralph E. Sr. and Mary Elizabeth (Walker) Dowell. Ralph graduated from the Spencer High School in 1954 and then proudly served his country in the United States Army. Ralph was good at bowling, he enjoyed fishing, and loved to play baseball with his family. Ralph married the love of his life, Vera Mae (Allen) in 1965, and together they raised three girls and a loving family. 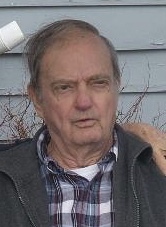 Ralph is survived by his wife, daughters; Susan Diane and husband Gerald Gray of Martinsville, Donna Sue Love of Mitchell, Cheryl Ann and husband Robert Peacock of Crawfordsville, grandchildren; Jennifer White, Justin and wife Amanda Luthe, Lisa Luthe and fiancé Kyle Kinder, Lindsay Calvert, Paige and husband Matthew Lower, great-grandchildren; Amy, Hailey, Danielle, Lillyanna, Lucas, Ethan, Jaxon, Braxton, Delilah, Kent, Olivia, Graham, Josie, one brother; Richard Dowell, and several nieces, nephews, and cousins. Ralph was preceded in death by his parents, one grandson; Jordan L. Luthe, and sister; Georgiana Taylor. Funeral services will be 1:00 PM, Saturday, March 30, 2019 at the West & Parrish & Pedigo Funeral Home, 105 North Montgomery Street, Spencer. Burial will follow in Riverside Cemetery in Spencer. Visitation will be 4:00 PM until 8:00 PM, Friday, March 29, 2019 and again 12:00 PM until the time of service on Saturday, all at the funeral home. Memorial contributions may be made to the American Cancer Society through the funeral home. Online condolences may be sent to the family at www.westparrishpedigo.com.